The Treger/Saint Silvestre Collection integrates more than a 1000 works of Art Brut, Singular Art and Contemporary Art. This specific nature turns it unique at the Iberian Peninsula. 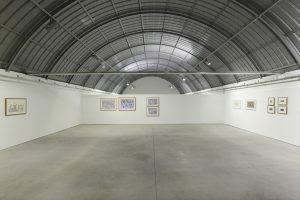 The Collection is one of the richest private collections in the world and englobes the classic Art Brut authors, such as Adolf Wölfli, Friedrich Schröder-Sonnenstern, Giovanni Battista Podestà and Oskar Voll, as well as more recent discoveries, like Ezekiel Messou, Guo Fengyi, Giovanni Galli, Miroslav Tichý and Eugene Von Bruenchenhein. 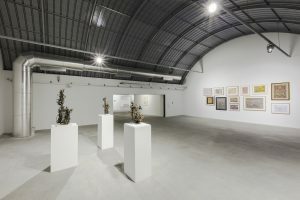 Since 2014 the Collection has been open to public at Núcleo de Arte da Oliva in the city of São João da Madeira in Portugal. In 2017 the Collection has received the “Collector” award by APOM – Portuguese Association of Museology. 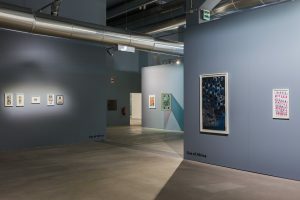 Núcleo de Arte da Oliva is an exhibition center opened by the City Hall of São João da Madeira with a goal to promote contemporary artistic expressions. 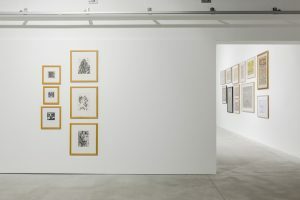 It is the only institution in Portugal to present a regular exhibition program of Contemporary Art and Art Brut/Outsider Art. This program is constructed from two private collections that are held in deposit: The Collection of Contemporary and Modern Art Norlinda e José Lima and The Collection of Art Brut and Singular Art Treger/Saint Silvestre. Together, the collections englobe more than 2000 artworks by 500 national and international artists. In 2017 both have received a mention by APOM – Portuguese Association of Museology.